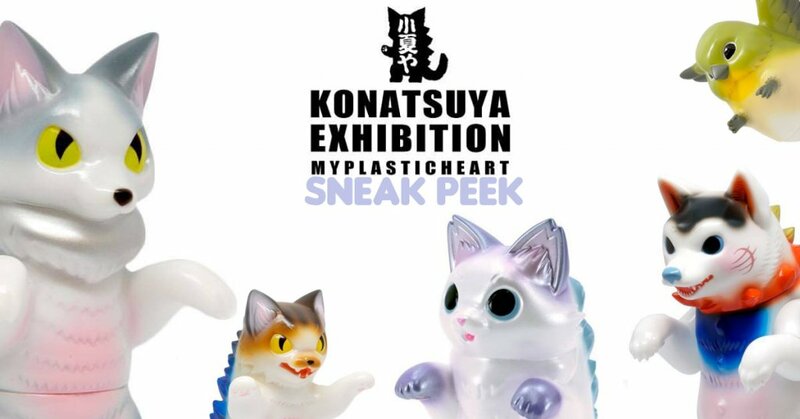 With a few days to go before the Konatsuya Exhibition at Myplasticheart sneak peeks have been shown! Collectors heading to MPH will be in for a treat. Save the date and charge your credit cards and take your four leaf clover for some luck in trying to cop the exclusives. Heres a sneak peek at some of the releases at the exhibition. OMH Fluffy Negora just hit our hearts. Stay tuned for MORE reveals for the show! Trust us its worth it.